Next FREE Clinic: Seminole County! | Next FREE Clinic: Seminole County! 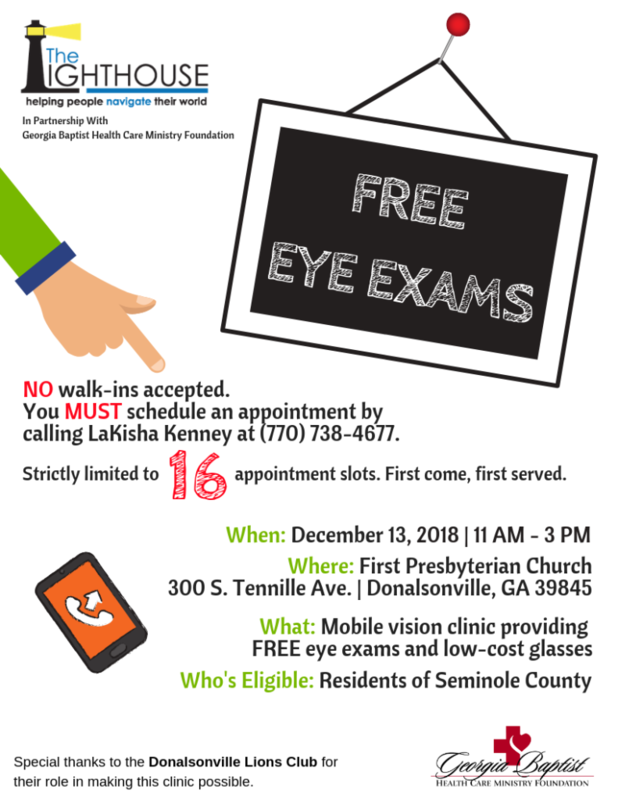 The Lighthouse vision team will be in Donalsonville, Ga., on Thursday, Dec. 13, for one of the very last Georgia Baptist Health Care Ministry Foundation-sponsored clinics of 2018. Are you in or near Seminole County? Need an eye exam? Check out the flyer! We’ll be at the First Presbyterian Church at 300 S. Tennille Ave. in Donalsonville on 12/13 and are looking forward to serving Seminole County!